The amount of mobile phone users is larger than PC users according to a recent research. At the same time, the people who own Android phones are increasing repidly. Android phone brings people a lot of convenience that it helps people do as much work as they can do on computer, while has no limitation to the location. PDF, as a more and more popular file format and a frequently used document format in daily work, can also be viewed by Android mobile phone if only have Android PDF reader installed. It would be a great convenience if the PDF reader is bundled with Android phone, while the fact is many Android users don't have a decent PDF reader preinstalled on their mobile phone. In view of this, it is neccessary to download and install a PDF viewer for Android in order to read PDF files on your phone. Among many Android market PDF readers, it is impossible for us to try one by one to find the best PDF reader for your Android phone as it is time-costing and energy-draining. Here we introduce you some best Android PDF viewers used and recommended by many Android phone users to help you find a top Android PDF reader that meets your requirement. Renowned global standard for PDF files, Adobe Reader, is not only availble on desktop, but also can be installed on your Android phone for viewing and interacting with PDF documents. Adobe PDF reader app is one of the best PDF reader app for Android. Easily and reliably view PDF documents in a variety of PDF file types including PDF Portfolios password protected PDFs, fillable forms, and Adobe LiveCycle® rights-managed PDF files. Support multiple view modes such as single page, text reflow, continuous or automatic. Offer many navigation options; use bookmarks to jump directly to a section in your PDF file. Fill out forms, add text and can save, sign, and forward forms to others. Android Phone Requirement: Android 2.2 and above. This Android PDF reader gives users the freedom of viewing and reading PDF files on Android smartphone with almost complete desktop functionality in a small screen. It offers a 10-day free trial. If you want to buy its full version, you have to purchase for $9.99. Support text search, bookmark and embedded links. This Android market PDF reader is an audio & video multimedia PDF Reader, annotator (palm rejection for Samsung S pen and HTC Scribe pen), and form filler. It has Voice Reading to have documents read to you, that is, you can use this Android PDF reader to hear the file instead of reading. Support scanned and text based PDFs, including JPEG2000 and JBIG2 compression. Select Text Reflow, Fit to Text Column, bookmark as you go or Change Reading Direction to ease reading. Fill out application forms, school tests, and contracts; Sign with Freehand, and send via email. Open Standard Password-protected PDF; Offer thumbnail image view; Support hyperlinks. Dupports split layout in file manager for Honeycomb-based devices. Android Phone Requirement: Android 2.1 and above. 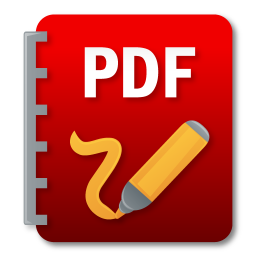 PDF To Go is not a standalone Android PDF viewer, it is embed in Document To Go app on Android market. Document To Go is an app that can view native Microsoft Word, Excel and PowerPoint files & attachments and PDFs. The supported formats includes .doc,. docx,. xls,. xlsx,. ppt,. pptx. Speedy and smooth tap-to-zoom in and out system. Save the PDF to a user-defined folder on the SD card and email the PDF directly out of the app. Support hyperlink and multipage rendering. Selected text through copying is on the device's clipboard and can be pasted into any other app. This PDF viewer for Android is the first and only Android PDF Reader that enables both viewing and commenting on PDF files. It supports PDF viewing, annotating and form filling. RepliGo Reader also makes a great eBook reader with features like reflowed text, night mode, text-to-speech and brightness settings. View PDF, annotate and fill form of files from your email, memory card and the Internet. Support colors, border thickness and the note for any of the annotations. Open password protected files; Send PDF files via email. Add highlights, cross outs, underlines, sticky notes, arrows, lines, rectangles, freehand drawings and text boxes. Android Phone Requirement: Android version 2.1 and above. 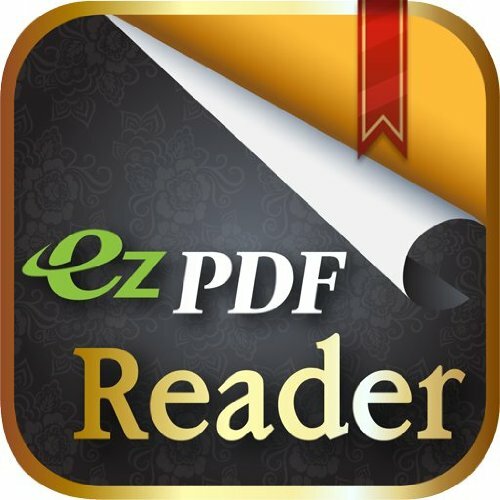 Although there are tons of apps on Android market for you to download and install, Android PDF reader app is a must-have app that you can't be missing. If you don't have a PDF viewer bundled in your Android phone or are still in search of a top Android PDF reader, you can take the above mentioned best 5 PDF reader for Android device into consideration. With the best Android PDF reader, you can read all your PDF documents on your smartphone and the reading experience is exactly the same as on desktop. Wanna watching iTunes M4V videos on Android devices? M4VGear DRM Media Conveter helps you do that by converting iTunes videos to Android supported formats in simple 3 steps. If you want to watch your PDF doucments on your iPhone/iPad/iPod Touch, Free iPhone/iPad/iPod manager will help you in need. Syncios iOS Manager is a free iTunes alternative, which can easily manage iPhone, iPad and iPod without iTunes and transfer music, videos, photos, apps, ebooks, contacts, messages and more between iOS devices and Windows PC.